It’s the eighties in Stockholm. Bobo (Mira Barkhammar) and Klara (Mira Grosin) are misfits; while all the other girls have long hair and listen to pop music, these two have homemade punk haircuts and want to rebel. 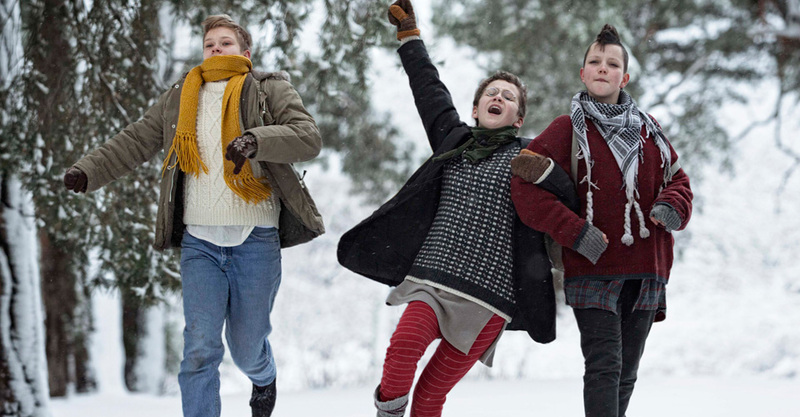 When they start their own punk band, they enlist Hedvig (Liv LeMoyne), a Christian classical guitarist to teach them music and an unlikely friendship is born. We Are The Best! comes very close to being one of those film festival films where nothing much happens and drives me insane, but it is the personality of the girls that drew me in and kept me interested. Yes, they are annoying and self-centred, but they are feisty and trying to find their place in the world, and I really liked them.